By the looks of things on the field, the Cubs went into today’s game with that attitude, losing 7-1 to the Pittsburgh Pirates. What You Need to Know: From the get-go today was going to be tough for both teams. The field was wet from rain showers throughout the morning. Temperatures were chilly, and visibility was going to be poor due to fog. So it was no surprise that both offenses initially struggled to score in less than optimal conditions. Through the fifth, the only run in the game had been off a Josh Harrison home run to lead off the day. With runs at a premium and an opportunity to get some on the board, manager Joe Maddon in the fifth inning went to the bench for a pinch hitter instead of giving Kyle Hendricks a second at-bat. But Tommy LaStella would then go and hit into a double play. Which, followed by a Javier Baez strikeout, left the Cubs empty-handed that inning. With Hendricks out after throwing 87 pitches, Maddon decided to give lefty Brian Duensing the ball to start the sixth inning. Five batters later Duensing returned the ball to Maddon with the bases loaded and a run scored. 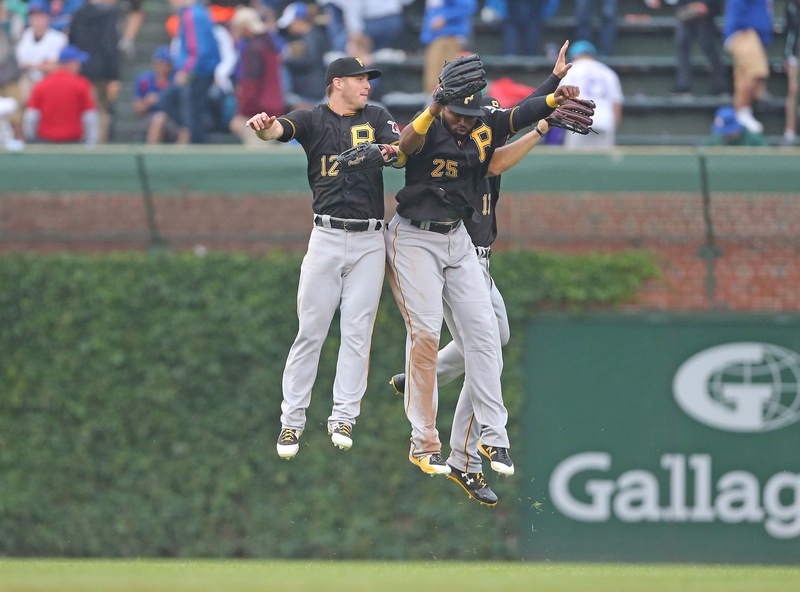 Things went from bad to worse after Luke Farrell took over, as Gregory Polanco cleared the bases with a three-run triple. The Pirates tacked on another run in the sixth inning, which was more than enough to give them the win today. Next Level: The last time the Cubs had such a lopsided loss it was May 22, when they lost 10-1 to Cleveland. Since the loss they have gone 12-5 and have won all five of the series they have played in. The Cubs will now enter one of their tougher weeks so far this season, a pair of three-game series on the road against the Milwaukee Brewers and St. Louis Cardinals. While too early to spend too much time watching the scoreboard, these are the series that teams need to win to keep their playoff chances alive in September. Up Next: The Cubs will open a three-game set against the Milwaukee Brewers. Jose Quintana will take the mound for the Cubs.